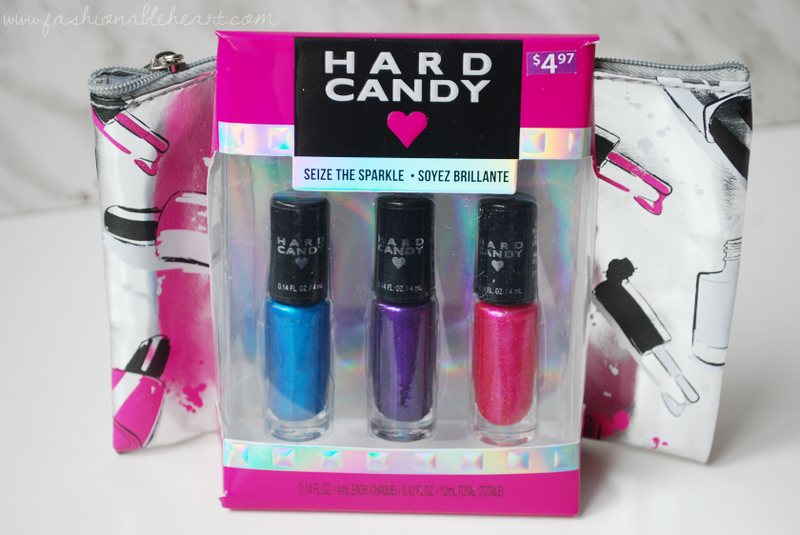 Hard Candy is one of those brands that is hit or miss for me.The same can be said for this collection or at least the part of the collection that I was given (it's a really big collection!). To be completely fair, to have a collection be full of complete hits is the beauty equivalent of hitting the jackpot. Every brand has its winners and losers. The good thing in this instance is that you don't have to break the bank and have total buyers remorse if something doesn't live up to its potential. We've all been there. So yes, there are some things I'm not liking that much and there are some that I do like. So if you're interested in hearing about these specific products, just keep reading! This Glam Kit Supreme is pretty massive and closes like a book. 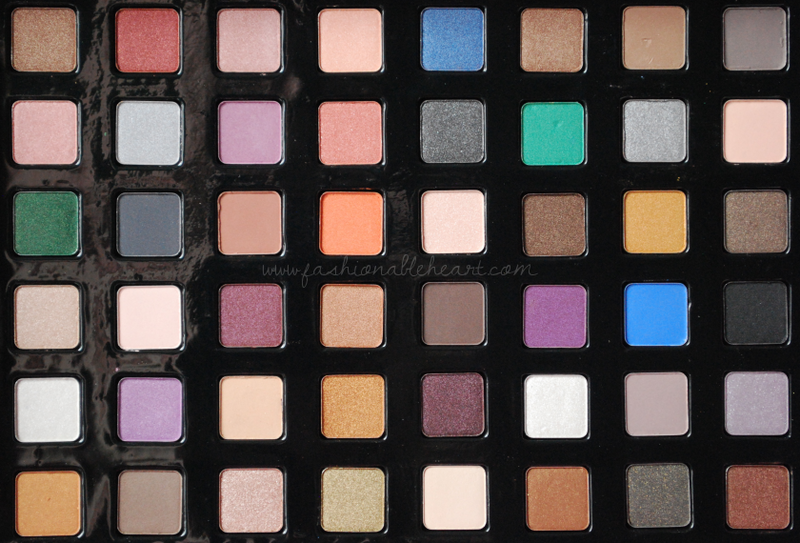 Some of the eyeshadows swatch smoothly and some are patchy. 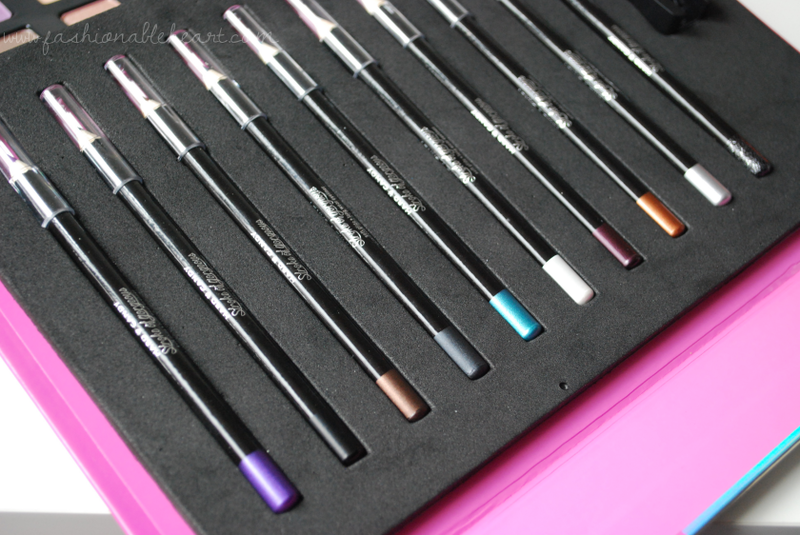 I do think this would be the perfect kit to give a young person just getting into makeup. This would give them a nice collection to play with as they watch all of those YouTube makeup tutorials. I think it is a few too many misses if you're past the beginner stage. This kit is worthy of a purchase! I can't believe it is under $5 here in Canada. The tin is convenient, but the little tools are hard to pop out. Though, I would honestly recommend getting a different applicator. This one sheds and is hard to work with. The pigmentation is there and each powder goes on smoothly. The cream highlight is creamy, but it kind of blends into nothing. The powders make this kit! Who remembers the Hard Candy polishes that had the little rings on them or when they were sold in Sephora? Do they still sell them with the little rings? Ah, the 90s. Those were the days. The thing is that they got polish right back in the day and they still get it right. And they still do the fun colors that they have always been known for! Also, the little pouches that come with these and the lip kit below are adorable. I am loving these! Now yes, there is a con. The applicator is rough and hard to work with. The smell is a nice vanilla and they go on nearly opaque after one swipe. The darker shade can be a little patchy and takes an extra swipe across. They feel nice on the lips and the color I got on my lips is the same as they swatched on my hand. I get around five hours wear with them. 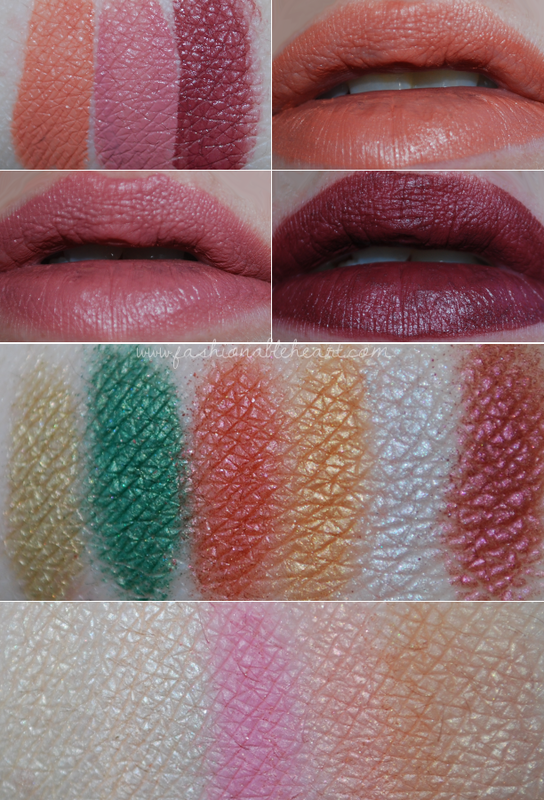 If you want to see if the liquid lipstick trend is for you, this is a good way to test it out! 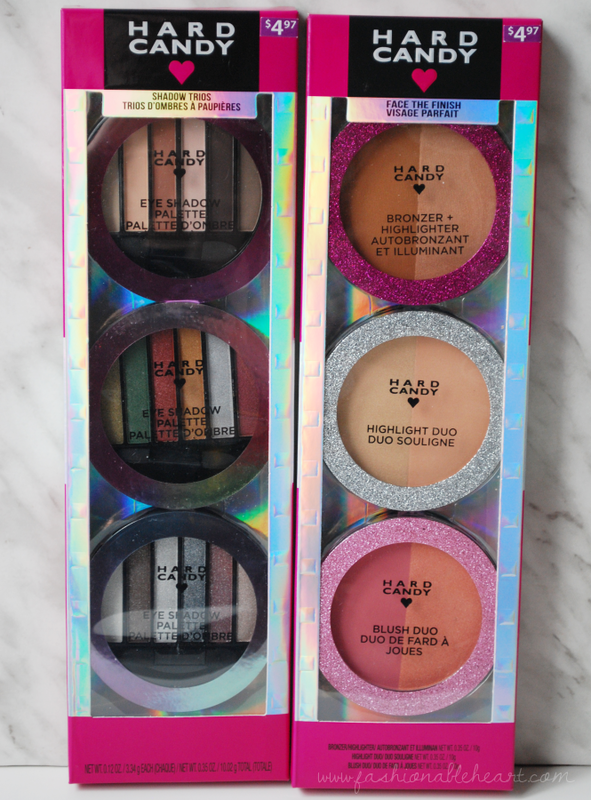 The packaging on these trios are super fun with the irridescent stickers on the eyeshadows and the glitter on the face ones. Now, they are stickers attached to the palette so they might come off as you pick them up and use them more and more. I had a Hard Candy eyeshadow palette back when they were sold in Sephora and I loved it. It had the best white eyeshadow I have ever used (like a powder version of NYX's Milk)! These shadows do not feel like that same formula. They swatch nicely on the hand but go on a little patchy. However, they work really well with the foiling method and go on much smoother and vibrant. The face products? Hit or miss, BUT it depends what you're wanting from them. If you're wanting a super glow, the highlights aren't going to give you that. If you want subtle, you can make that happen with these. The pink blush is pretty, the peach one doesn't show up well. The bronzer is far too orange for me. They take a lot to show up on skin. Again, this might be perfect for beginners because this trio will definitely prevent you from clown cheeks or an overwhelming glow and ease you into more. Hard Candy Velvet Mousse set, the middle eyeshadow palette, and the Face the Finish trio. Have you tried any of these or Hard Candy before? 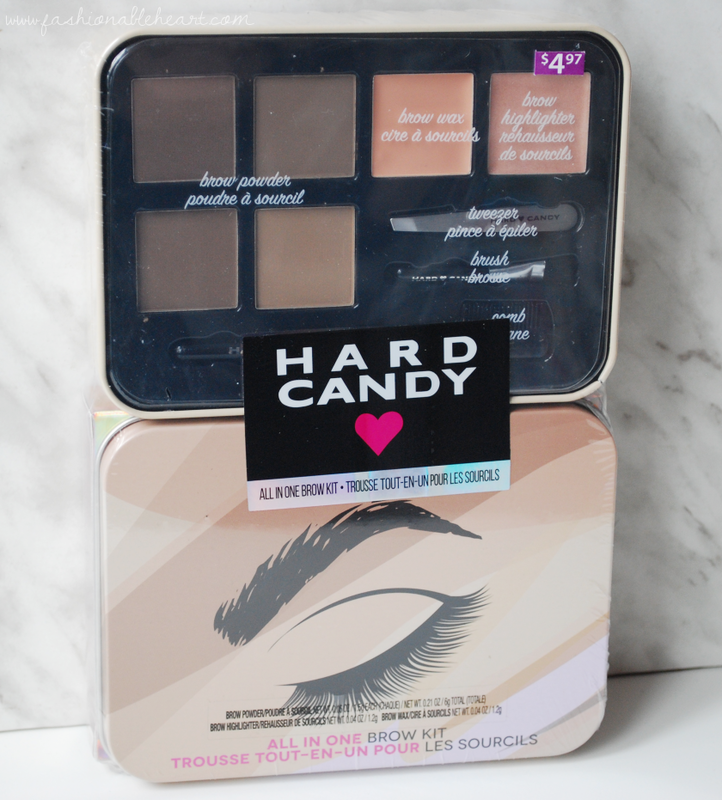 What's your favorite Hard Candy product? And maybe, leave a comment telling me you remember the plastic ring days so I don't feel so old. Haha! 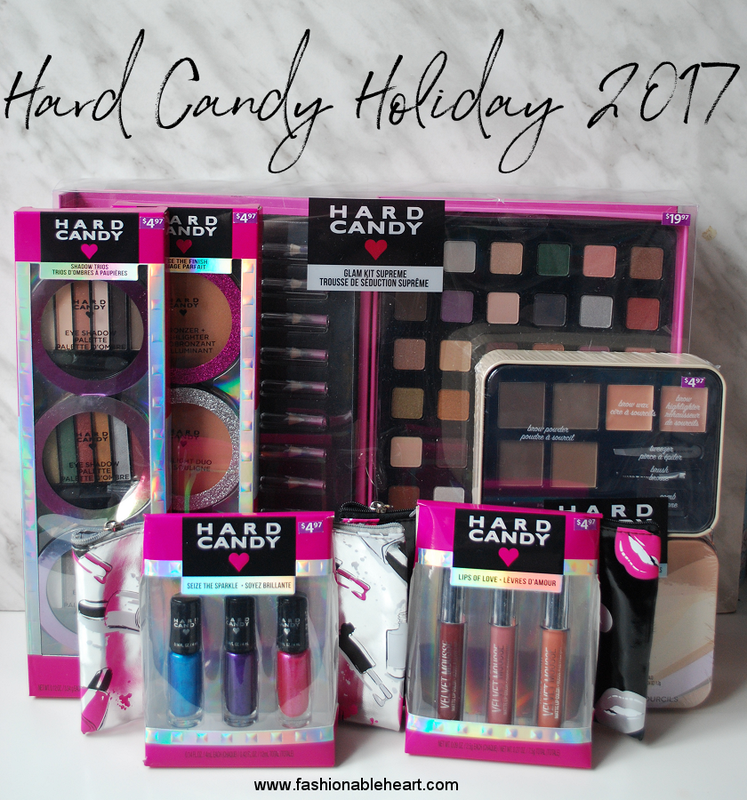 Hard Candy and their holiday collection can be found in Walmart Canada. ** These products were provided for testing and reviewing purposes. All opinions and pictures are my own. There are no affiliate links in this post.